CPR Training at the Union League of Philadelphia - Cardiac Care & Safety, Inc. CPR Training at the Union League of Philadelphia - Cardiac Care & Safety, Inc. 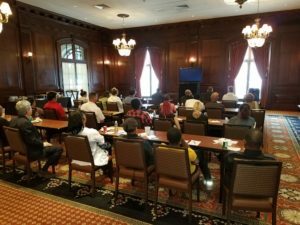 Recently, we had the pleasure of conducting a CPR and AED Training at the Union League of Philadelphia. We were able to meet with their team on-location at a time that was flexible for them. According to our trainers, the Union League was a pretty nice backdrop for CPR classes and members of the class were happy we could be flexible to their schedule. For more information, be sure to visit our CPR and AED training page.